When I am filled with uncontainable joy, I laugh. It happens sometimes when I am listening to classical music, and the piece is like an old friend I’d almost forgotten until we meet again by surprise, and I discover she is even more delightful than I remembered. Among those of us who were offered music lessons in childhood but who quit our instrument before we were grown, I count myself among those who regret it. In my case, the instrument was the piano. My mother played the piano, and I started lessons when I was in fifth grade. My memories of my studies are vague, though not unpleasant; there was no pressure, and no recitals, and I don’t think I minded practicing. But two years after I began, I graduated into junior high and a world of extracurricular activities. For better or worse, my parents let me decide that I wasn’t interested enough in piano to continue. Faithful Practices: Everyday Ways to Feed Your Spirit, edited by Erik Walker Wikstrom (Skinner House, 2018). Still, I did love good music, and that passion stayed with me as I went to the symphony with my parents, sang in school choirs, amassed a record collection, and went to concerts and opera performances as an adult. Yet it wasn’t until that spring day when the car radio was cranked up, and my ears were open wide enough to hear the sound of my own longing, that it dawned on me that my days as a pianist did not have to be over. It took longer than I had expected to find a teacher, and when I did, she was about to take her summer break. Undeterred, I dug up a couple of piano books I’d held on to since elementary school and got permission to use my church’s piano so I could start practicing again. Sixteen years later, I am still at it. You only need to practice on the days you eat. That’s the philosophy of the music school where I take my lessons. It means I sit down at the piano even on the days when I am tired or not in the mood, my throat is scratchy and I think I may be getting sick, I’m busy and preoccupied, or I am utterly frustrated by my lack of progress on the piece or skill at hand. I challenge myself to focus only on the music and the music making, and work at something that is hard for me, doing it over and over again until it becomes easier and more effective or expressive. It’s no wonder many children need to be cajoled, pushed, or bribed into learning an instrument, and few adult students sustain their initial enthusiasm over the long haul. What about this discipline is spiritual? My piano, though a modest one, cost more money than most people will make in their lifetimes. The room where I practice is larger and more comfortable than many people’s living space. Practicing reminds me that I am fortunate to have a job and money in the bank and that I live my life on the top rung of Maslow’s hierarchy of needs. While much of the world’s population struggles daily for survival, I have time and resources to devote to music. Despite all they have done for me all my life, my hands are also something I took for granted before I returned to the piano. When I look at them each day, I am reminded that the human hand is a marvelous piece of work, giving us the strength, sensitivity, precision, and control that allow us not only to play instruments but to perform a much greater variety of manual tasks than any other animal on earth. At the least, I am more careful and attentive when I chop vegetables these days. Learning and playing music is a call to mindfulness. Tinkering away until the timer goes off does not qualify as practicing, any more than sitting in lotus position and waiting for the chimes to release you constitute meditating. Playing music does not belong on a to-do list. Getting to the end and finishing, or even playing all the notes in a piece correctly, is not the point (though developing precision is a step along the way). Composers mean to transport us, take us on a journey, kindle our imagination, inspire hope and reverence, and bring us solace and joy. Musicians strive to convey beauty, excitement, and meaning; to communicate truth that cannot be put into words; to create something intangible yet vibrant and real, just short of birthing a living being. You cannot be unconscious to enter into all that. When I sit down to practice, I am usually thinking about something other than piano, or looking ahead to the pieces I am working on and planning what I want to accomplish during the session. I need discipline to remember to center myself in joy and gratitude and to set aside agendas and stresses of the day; to sit up straight and take some cleansing breaths; to be aware of tension in my body and consciously relax; and to focus on bringing my body, mind, emotions, and spirit into harmony in the service of making music. Everyone wants to be able to just sit down and play. When learning music, you need to train yourself to be patient and to go slowly, moving at a snail’s pace, phrase by phrase, chord by chord, note by note. (One of my teachers calls this “Zen practicing.”) It takes far less energy to muddle through a piece while operating on automatic pilot. However, by lingering, we give ourselves time to notice where each note has come from and where it is going. This awareness helps our understanding and accuracy so we can pick up on details that make the music more interesting and expressive and ease into the motor patterns so that they eventually become more fluid. We do not gobble the music down. We learn to savor each bite. Being in the moment with the music also means listening attentively, which is harder than you might think when your mind is occupied with notes and rhythms, technique and interpretation. It is natural to hear the clinkers that signal obvious mistakes. Musicians must tune in more deeply, listening for the quality of the sound or tone, the balance (or sometimes the parity) between the two hands, the clarity of the pedaling, the duration and volume of the notes, and even the silences, which can be drowned out without careful attention to the rests. Playing the piano requires fine motor control of the fingers and bilateral coordination of the upper extremities. (Add the foot, when you are pedaling.) The cognitive aspect includes reading music—encompassing not only the ability to understand what is printed on the page but to discern what is not explicit but implied or assumed—and memorization. There are also creative and artistic dimensions that are grasped more by intuition than instruction. Good musicians enliven their repertoire by conjuring up images, even creating stories, that direct their musical interpretation. They infuse the music with personal meaning, bringing their heart and soul into their performances. Their music speaks for them, carrying a unique message as well as conveying the universal experience of being human. To me, the level of skill that produces a virtuoso performance is nothing short of miraculous. Pablo Casals, a world-renowned cellist, was 93 years old when someone asked him why he continued to practice three hours every day. Casals explained, “I’m beginning to notice some improvement.” Music making teaches humility: even after a lifetime of practice and study, there is always more to learn. I participate in student recitals now. Among the pianists I join in these performances are children who are progressing faster than I am and who already play better than I ever will. Young musicians, who are able to think of the sky as their limit, have their whole lives ahead of them to learn and to grow into their musicianship. As an adult, I recognize I only have so much time and only so much talent. Playing the piano is much more difficult than I remembered or imagined. I give careful thought to the pieces I choose for serious study, knowing I can tackle only a few each year. There are many pieces I love and have dreamed about playing that are beyond me; sometimes I have to let go of old goals and set new ones. It is tempting to fantasize about the music I might be able to play by now if I had stayed the course in seventh grade. But the discipline of musical performance teaches me not to be derailed, defeated, or defined by lapses and mistakes but rather to keep going. We can learn from the past, but we cannot change it; our power lies in giving our best to what lies in front of us right now. I didn’t have the dedication, determination, and desire as a child that I do as an adult. Perhaps now is the time I am meant to be at the piano. So, every day (almost!) I am back on the bench, yearning and striving for that transcendent moment when I am confident, prepared, at ease, and utterly focused, when I can just “sit down and play,” and the instrument becomes my voice, and the music becomes my song. I don’t know about the next life. For now, I am grateful for the privilege and the pleasure of making music in this life. Sometimes, when I’m relaxed and in the moment, and the music has just flowed out of me, I lift my hands off the keyboard and I laugh. This essay is adapted from Faithful Practices, edited by Erik Walker Wikstrom (Skinner House, 2018). The Rev. 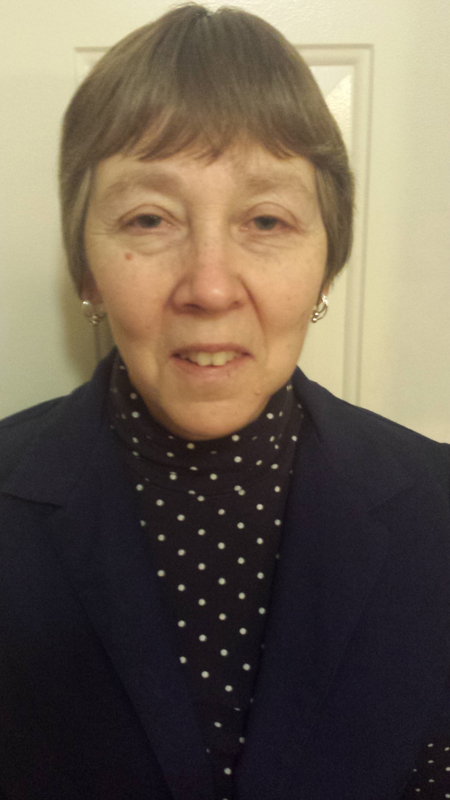 Colleen McDonald, a retired UU minister of religious education, is now employed as an occupational therapist, working with special education students in the Rockford, Illiniois, schools.